The John C. Stennis aircraft carrier has departed port in the US State of Washington to complete an ambitious maintenance schedule known as a planned incremental availability (PIA), the US Navy said in a press release on Friday. WASHINGTON (Sputnik) — The goal of PIA is to overhaul and rejuvenate a ship by improving operational systems, as well as the quality of life aboard the vessel, the release said. 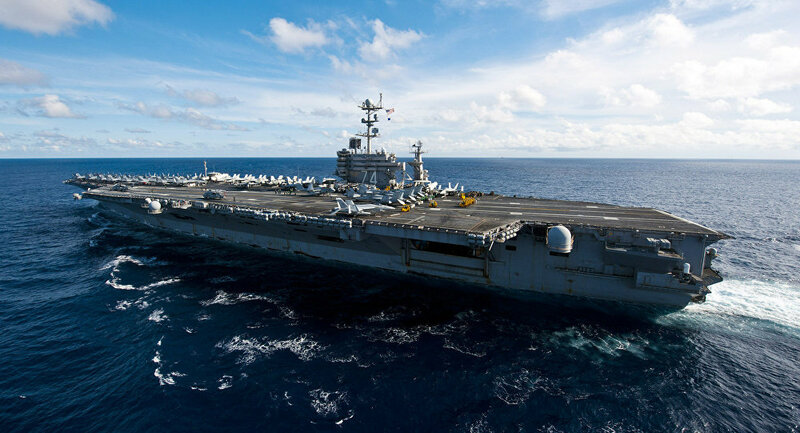 "USS John C. Stennis has not only returned to sea to complete the most ambitious six-month carrier availability ever attempted, but has done so three days ahead of schedule," Stennis Commanding Officer Capt. Gregory Huffman stated in the release. The work package included items ranging from upgrades to the ship's navigation systems to refurbishing crew berthing spaces, the release noted. The trial, which began on Friday, represents the final step of vessel’s overhaul, in which sailors demonstrate new, repaired and refurbished systems while at sea, according to the release.